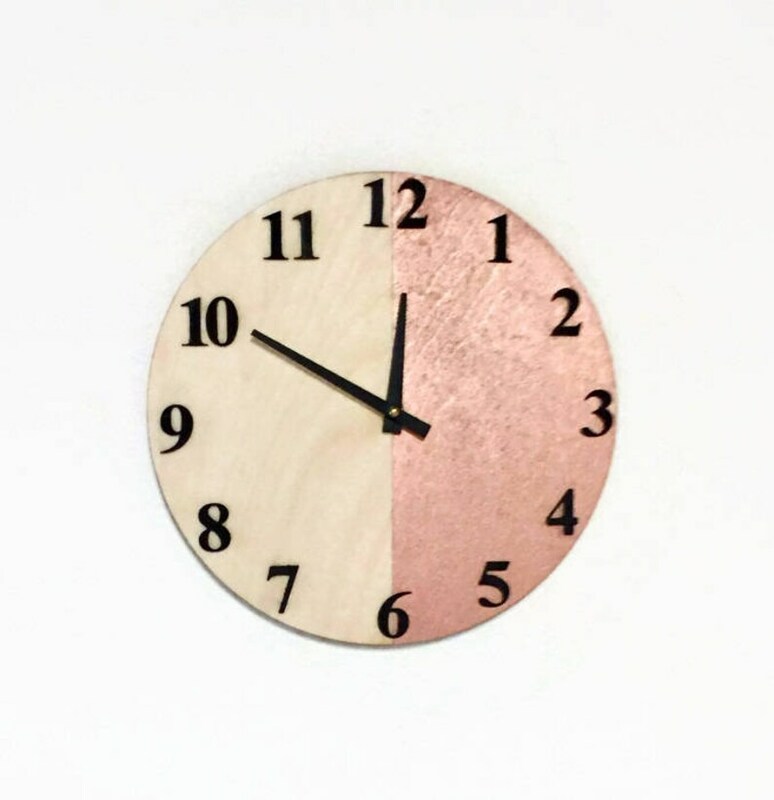 This numbered wood wall clock is right on trend! The face is painted with rose gold, leaving half unpainted wood. I took photos of the clock from several angles to show how the rose gold shimmers and shines in the light. The effect is stunning! Assembled with a new Quartz Mechanism. This clock can be made in larger sizes and any color combination that you would like. Please contact me with special color or size requests.